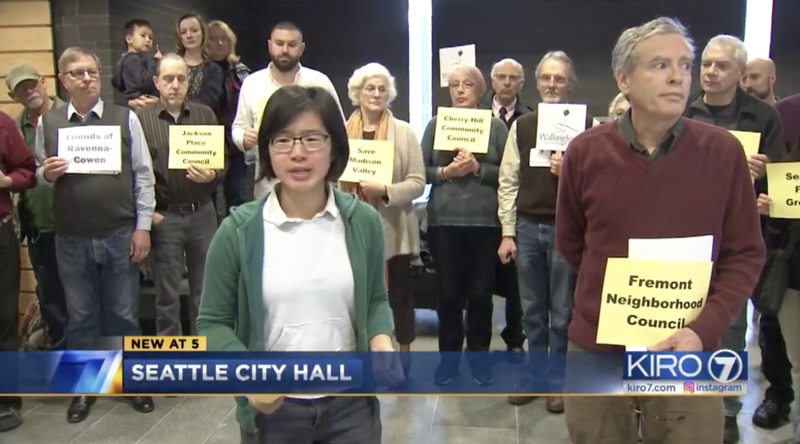 Some of you may be aware that there is a plan to raise building height limits (“upzone”) throughout Seattle to create more housing, including affordable housing. A coalition of 25 neighborhood groups (including Save Madison Valley!) filed an appeal with the City stating that the City hasn’t evaluated the impact to each neighborhood adequately—that they have adopted a “one size fits all” approach to growth. Most disturbingly, there’s strong evidence that the way the upzone is currently planned we will lose more affordable housing than we gain, lose tree canopy, and destroy small businesses and neighborhoods. It looks like the only group gaining in this move would be developers! Save Madison Valley has lent our name to this important cause and a few board members have donated some time and some of their individual money. As always, ALL donations from you are directed solely to our work here in Madison Valley with the City People’s development. Older PostIt's not over yet!